Mini-Interview: Galaxy Trail Games Talks About Freedom Planet's Success On The North American eShop! Even Splatoon Fails To Keep Up With This Speed Demon's Sales! We knew that Freedom Planet was going to be a success based solely on its nearly unrivaled quality on the Wii U eShop, but we never imagined that the game would outsell many retail titles on the service, but it has by reaching the top ten recent sellers list on the Wii U eShop! Interview wrote: Hello! 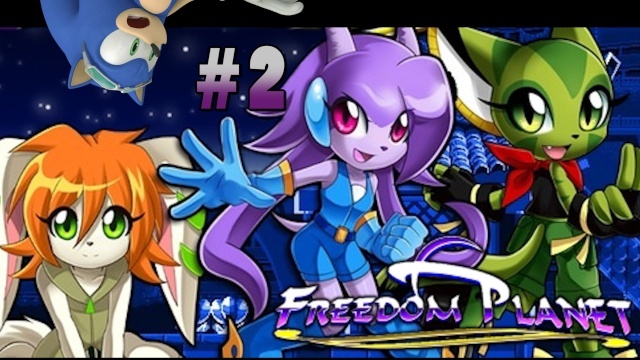 What do you think about your game, Freedom Planet becoming a best-seller on the North American Wii U eShop? [GalaxyTrail]: It's surreal to think that at one point, we were selling more copies than Splatoon! We actually peaked at the #2 spot, right behind Super Mario Maker. Did this surprise your team? [GalaxyTrail]: We were very pleasantly surprised, yes! Is there anything you'd like to say to your fans who made this milestone happen? [GalaxyTrail]: Thank you everyone for your support! It's really cool to see and interact with the vibrant Miiverse community that's popped up around Freedom Planet. What are your thoughts on this matter? Also have you downloaded this gem of a game yet on your Wii U? Let us know in our comments section below! Re: Mini-Interview: Galaxy Trail Games Talks About Freedom Planet's Success On The North American eShop! This game looks so amazing! Nice interview, Ichigo-kun! This game is awesome so I'm not surprised by its success!